While less common than other types of occupational diseases, Legionnaires’ disease can quickly turn into an outbreak, causing dozens or more employees to become suddenly seriously ill. According to the Centers for Disease Control and Prevention (CDC), about 5,000 people become ill with Legionnaires’ disease yearly. Approximately one in ten people who become sick with this disease will die. If you contract it at your workplace, you may be entitled to workers’ compensation benefits to pay for your medical bills and lost wages. Legionnaires’ disease is a type of pneumonia caused by a bacterium called Legionella pneumophila. The disease got its name after an outbreak occurred in 1976 at a Philadelphia convention of the American Legion that sickened over 200 people, with approximately 30 people dying. Workers can contract it when they inhale the germ in tiny droplets of water which can be prevalent in the air. While not spread from person to person, the disease can quickly infect many employees since the germ is in the air that all people in the building are breathing. What Workers Are at Risk of Contracting This Disease? The water temperature is between 25 and 45 degrees Celsius. The system creates or spreads breathable water droplets. The system stores and/or recirculates the water. The water contains nutrients like rust, sludge, and organic matter that allow the germ to grow. People who work in sealed buildings, especially those who maintain water cooling towers and air conditioning units are most at risk. However, anyone working in one of these buildings is at risk of becoming ill with this disease if the germ grows and becomes airborne. This can include many types of workplaces, such as hospitals, nursing homes, office buildings, grocery stores, and more. Although people in any age group can develop symptoms, middle-aged people and people with suppressed immune systems, lung disease, cancer, or chronic kidney disease are more likely to become ill.
Respiratory failure. This can be caused when the lungs are unable to produce enough oxygen or remove carbon dioxide from the blood. Septic shock. If there is a sudden, severe drop in blood pressure, the blood flow to vital organs like the kidneys and brain is reduced. When the heart tries to compensate and pump more blood, it can become weakened, and the blood flow can be reduced to an even more dangerous level. Acute kidney failure. Kidney failure occurs when the kidneys lose their ability to filter waste materials from the body, causing dangerous levels of fluids and waste to accumulate in the person’s body. 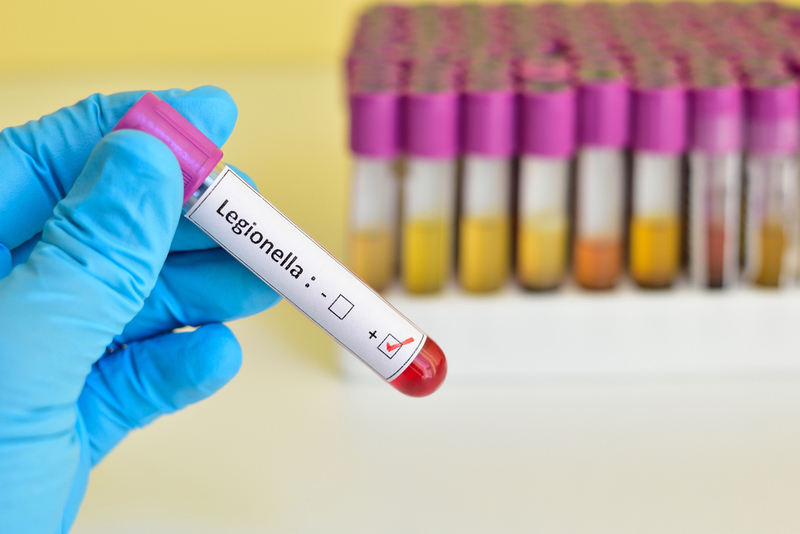 Unlike many occupational illnesses, Legionnaires’ disease develops quickly and often affects multiple employees. This can result in a governmental department—such as a local health department—investigating to determine the cause of the outbreak. This could help establish that workers became ill due to their job. Did you become ill with Legionnaires’ disease? Did a family member die? Start an online chat or call me at 877-360-0183 to schedule a free, no-obligation consultation to learn about the benefits you could be entitled to under New Jersey’s workers’ compensation laws.